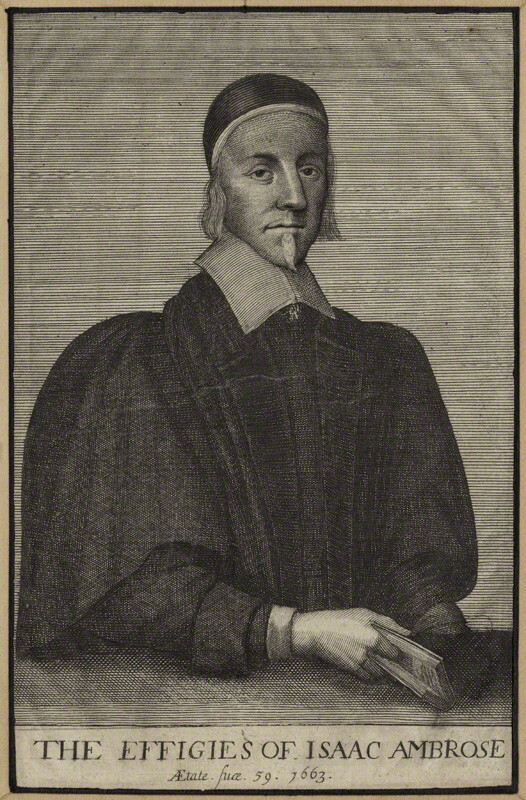 Vincent Alsop was an ordinary minister, who ministered at Wilby, Northamptonshire. 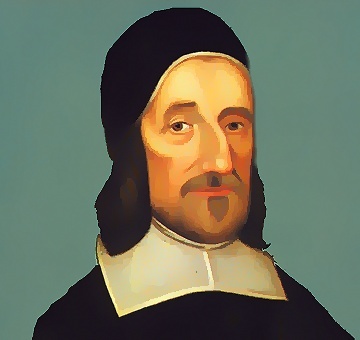 One noteworthy event of his life was how he continue preaching even when he was ejected in 1662, and was jailed for 6 months because he prayed with a sick person. This was described as rare in MtP, now you can have it for free. Isaac Ambrose was a preacher who had his B. A. in 1624, and a M.A in 1632. He was appointed to be one of the four itinerant preachers for the king, and focus on areas that were steeped in Roman Catholicism. Shortly after serving there, he got married. He was then selected to be a vicar of Preston in Amounderness by Lady Margaret Hoghton. Whilst he was previously loyal to the king, he became a Puritan and a Presbyterian in 1643. Because of his belief he was arrested twice by was quickly released during to his connection with the Hoghtons and reputation for godliness. Interesting, Ambrose written a work on angels and in it, he writes about how angels defends and keep us safe and also as servants of God. Sorry for missing out on one week of Meet the Puritans, was extremely busy with it, and thus was delayed for one week. Today we meet with 3 Puritans. Although there was only a short section on Henry Airay, yet it was shown that he was an impressive student. Began studying at the age of 20 and obtained his 4th degree, a Doctor of Divinity at the age of 40! 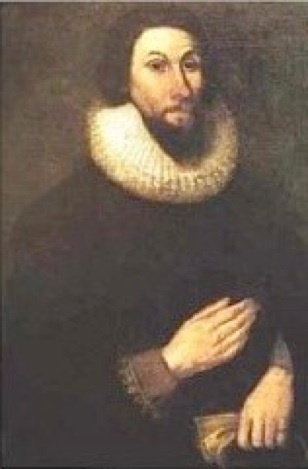 And an impressive career, he was elected provost in 1599, and became vice-chancellor of Oxford in 1606. The most outstanding work by Henry Airay is his 95 sermons on Philippians. This can found here. If however, you’re interested to get a hardcopy of it, you can get it here, and here (free shipping). 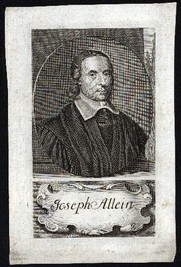 Although Joseph Alleine was schooled in Oxford, under both John Owen and Thomas Goodwin, and lived a life like a scholar whilst in Oxford. Joseph Alleine was no arm-chair theologian, rather devoted much time to preaching to prisoners, visiting the sick and ministering to the poor. 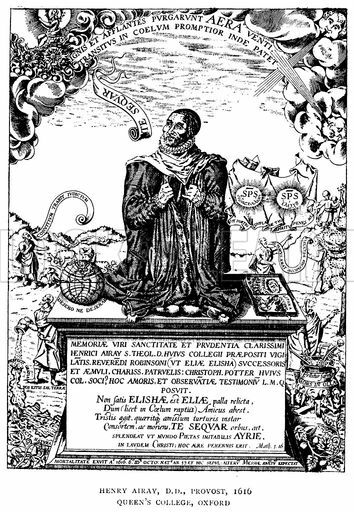 With regards to his piety, Joseph Alleine, as a student often spent excessive amount of time studying, often depriving himself of food and sleep. And daily he would often devote the time between four and eight o’clock in the morning for private worship. His own wife remarked that Joseph Alleine “would be much troubled if he heard smiths, or other craftsmen at work at their trades, before he was at communion with God: saying to me often, ‘How this noise shames me! Doth not my Master deserve more than theirs?‘” Indeed, He does, and Joseph Alliene puts me to shame, often being too lazy to wake up any earlier to have private worship. With regards to his preaching, Joseph Alleine preached on average one or two sermons everyday, before he was arrested and thrown into prison. Even in prison, he continued to preach and also wrote theological and pastoral letters. His most famous work, An Alarm to the Unconverted, which as the title suggests is an evangelistic treatise on conversion and call of the gospel, and is still an important read for pastor to know how to call sinners in their congregation to repent and believe in the Lord Jesus. You can get it here, and here (free shipping). Free PDF and mobi found here. If you’re interested to read up more on his biography, you can refer to The Life and Letters of Joseph Alleine, and here (free shipping). And here’s free PDF, and mobi found here. Richard Alleine is the uncle and father-in-law of Joseph Alleine. He was enrolled into Oxford at the age of 19. His father was not only the rector of the parish church, he also served as Richard’s tutor prior to his enrolment to Oxford. Richard completed his studies with a Bachelor of Arts (1631) and a maters’s degree with high honour (1634). Following which, Richard began to serve as a priest in the diocese of Salisbury, until 1642 where he declared himself to be a Puritan, subscribing to the Solemn League and Covenant of 1643. Richard was loved by his congregation for his tender care of souls and preaching and was well known for his writings, his piety and his soul-searching ministry. Heaven Opened: The Riches of God’s Covenant – Talks about the nature and blessings of God’s covenant with His People. Here (for free shipping). Free PDF here. Instructions about Heart-work – This is an extensive exposition on the book of Proverbs. Here (for free shipping). Free PDF here. The World Conquered by the Faithful Christian – A book that encourages christians to continue to fight the good fight in the Christian warfare against spiritual evil. Here (for free shipping). No fee PDF could be found, sorry. Today we start our first “Meet the Puritans” Sorry for being two days late, was writing out the book review for Monday and that’s why this was delayed. Today, we’re looking at two puritans, Thomas Adams and Henry Ainsworth. I certainly haven’t heard of these 2 Puritans but a quick search does bring up many quick details about them. Thomas Adams, as described is a Calvinist and although there are not much details about him, one thing that is sure is that he is definitely an eloquent preacher and writer. Here’s some quick link on the works by Thomas Adams and also sermons by him as well. Not much is also known about Henry Ainsworth, a search did not reveal more things about him either. But he is well known for his work on the Pentateuch, Psalter and Song of Songs. Here’s a video on one of the psalter he wrote. And here is a link to the pdf of the Psalter he wrote. I’ll be posting on this book, “Meet the Puritans” by Joel R. Beeke And Randall J. Pederson. Would you be interested to join me? I’ll be blogging on this book every Sunday, commenting on one or two Puritans every week. Hopefully, by the end of this year, we would have covered a huge portion of this massive book, and would have a better understanding of these great Christian men. Leave me a comment if you would like to join in this conversation. You can get your books here and the kindle version ($8.99) here. For those of you who don’t live in the US (like me), get yours here (free shipping).